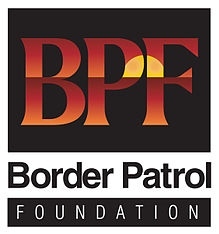 The Fraternal Order of Retired Border Patrol Officers (FORBPO) and Border Patrol Foundation (BPF) are excited to announce a partnership Scholarship and Fallen Agents Support Program. The Fraternal Order of Retired Border Patrol Officers was established in 1978 as an entity to honor and preserve the fraternity and traditions of the members of our United States Border Patrol family that have concluded their careers with honor and service to our great Nation. The FORBPO partnership will provide donations to the families of Fallen Agents in addition to the donations provided by BPF. It is the desire of FORBPO to partner with the Border Patrol Foundation as an invaluable instrument in providing critical support to the families of our fallen Border Patrol heroes. These funds help to offset the immediate needs that families often face in the wake of the loss of a beloved family member. We believe that building this alliance will benefit both organizations, and will also establish an annual FORBPO Scholarship Award that will provide access to postsecondary education for members of our Border Patrol Community who otherwise would not have the financial means to fulfill their educational goals. This will be a wonderful addition to the existing BPF scholarship program and allow for more scholarships to be given out annually. Both the FORBPO and BPF organizations look forward to these new initiatives and the very important work we will be doing together as we continue to honor and support our Border Patrol Families and Community. For further information please visit www.forbpo.org and contact Lynne Underdown or www.borderpatrolfoundation.org or you can email Shannon.staples@borderpatrolfoundation.org.